Looking for a skip bin for domestic waste removal? We guarantee our service is fast, competitive, reliable, safe and environmentally friendly. Looking for a skip bin for commercial waste removal? We guarantee our service is fast, competitive, reliable, safe and environmentally friendly. Looking for a skip bin for trade waste removal? We guarantee our service is fast, competitive, reliable, safe and environmentally friendly. The 2m3 Size bin is the right bin for smaller jobs such as cleaning the house or a small job in the garden. It can hold up to 2-2.5 tonnes. The 3m3 Size bin we provide will be good if you are doing some smaller home renovations. It can hold up to 4 tonnes. The 5m3 Size bin is what you want if you have a bigger job. Renovating multiple rooms or a big garden clean. It can hold up to 8 tonnes. North Shore Skip Bins is a family run business operating from Hornsby Shire and we happily service all areas in Sydney’s north and some areas beyond. 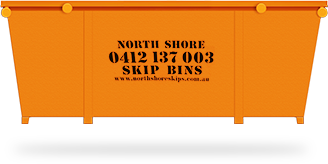 North Shore Skip Bins has thousands of homes and building site clients all over Sydney. We have a modern fleet of vehicles and up to date equipment. North Shore Skip Bins provide a reliable cost effective waste removal service to all customers. We have extremely competitive skin bins prices. Our prices are for real sized bins delivered to your door. Getting a quote and booking your skip bin through us is extremely quick and easy. We're focused on have a modern fleet of vehicles and up to date equipment to make sure everything runs smoothly. At North Shore Skip Bins the environment comes first. Everything we do is tailored towards and eco-friendly approach. If you're after a reliable skip bin service that you can count on, don't look past North Shore Skip Bins. Our range of skip bins is huge. 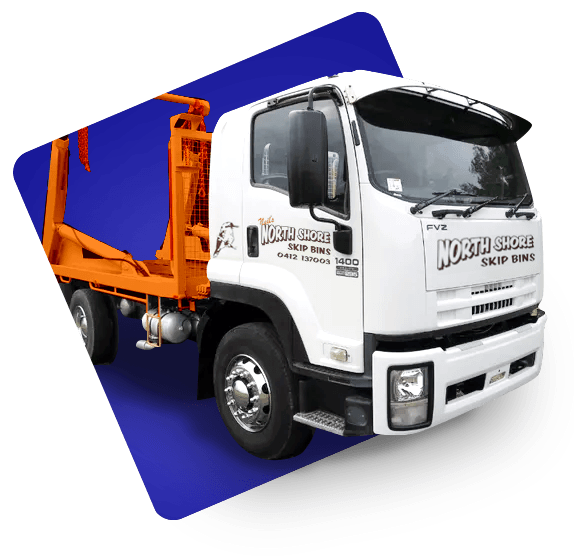 Our fleet of trucks can deliver any bin to your premises when it's required.